Tucked away in a mountain meadow, yet only eight miles to the quaint town of Pagosa Springs, this equestrian property is absolute perfection. Surrounded by the majestic San Juan Mountain range the 88± acre ranch offers a diverse terrain of valleys and hilltops with breathtaking views. The improvements are exquisite with a gorgeous custom home sitting at the upper elevations of the ranch and a fantastic indoor arena in the valley. Now offering house (fully furnished) and 50 acres for $2,000,000. 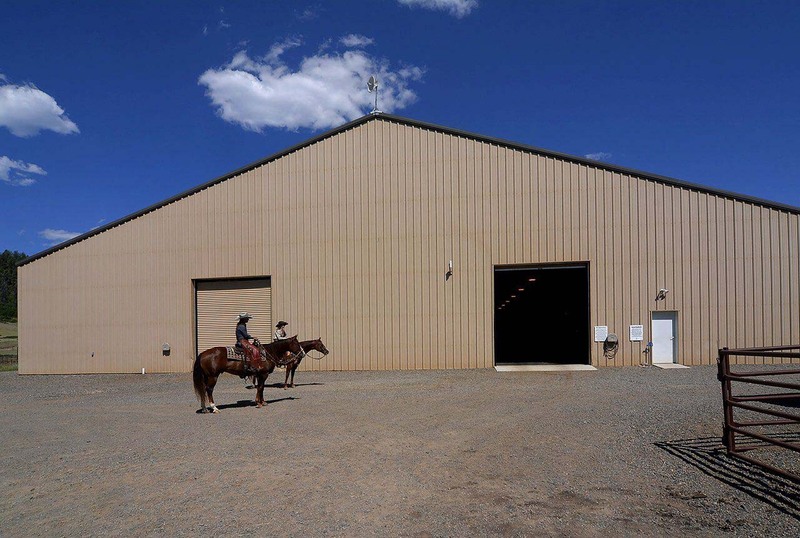 The equestrian facilities feature a 110 x 230 indoor arena with the ability to be heated, six over sized custom stalls, large tack room, a 100 x 200 outdoor arena with heavy panels for cattle, 2 large round pens, matted indoor wash rack, equipment barn with bays for tractors and implements, an entertainment kitchen with a custom bar and an outdoor fire pit between the arena and the barn.